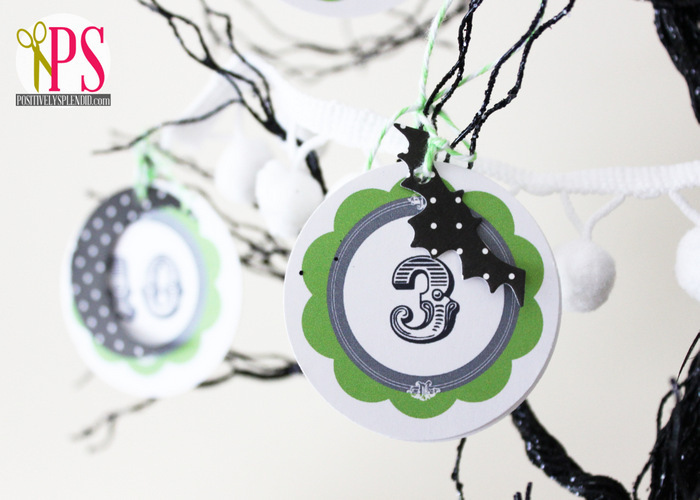 In our family, we love to do countdowns of all sorts, be it for birthdays, trips, or holidays. 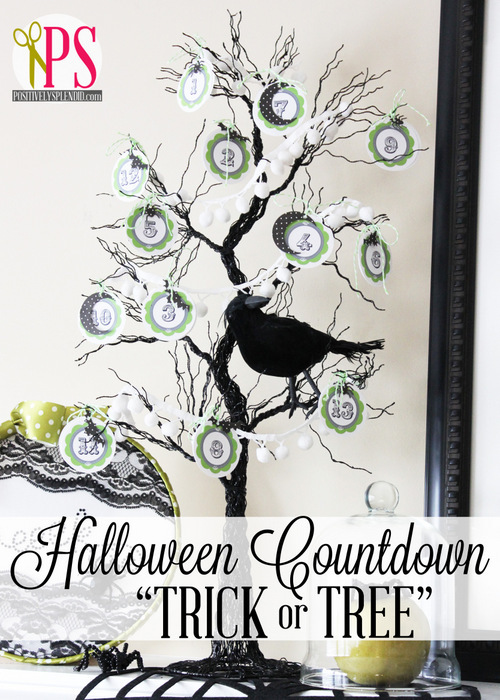 I shared last year about the Advent cookie tree I make to count down the days until Christmas each year, and that idea is what prompted me to come up with the project I’m sharing today: a Halloween Countdown Tree, which I am calling our Trick or Tree! 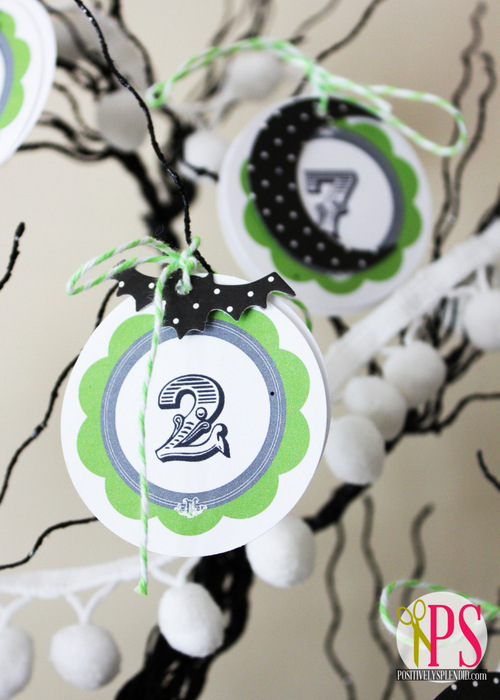 Here’s how it works: For each of the days leading up to Halloween, there is a numbered tag. The fun part is, though, that when you flip over each tag, you’ll find a surprise! 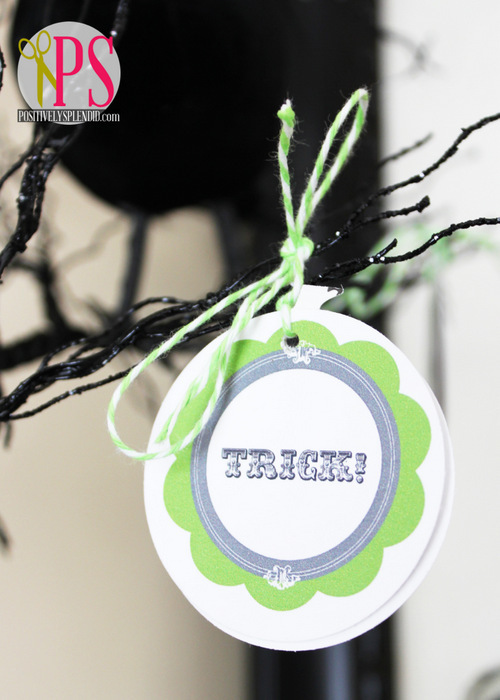 …but watch out for the tags that say “Trick!” Those mean that there is something mischievous in store for you in the trick bucket: whoopie cushions, silly glasses, creepy critter toys and more! 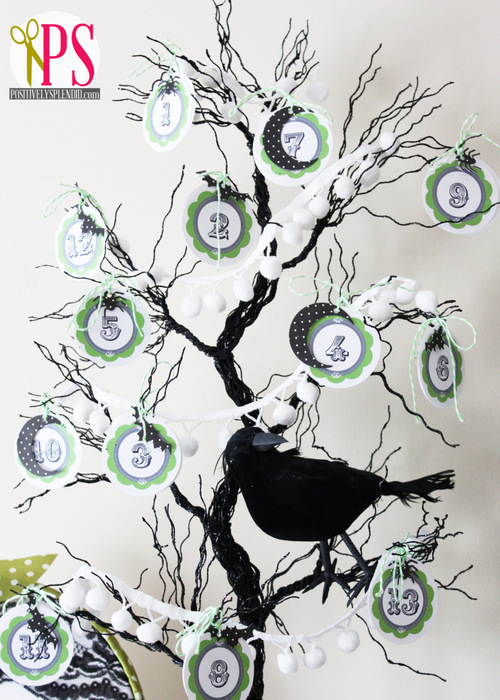 For my display, I purchased a spooky tree in the Halloween section at Jo-Ann, but you could easily substitute a tree branch spray-painted black for a DIY alternative. I then printed out my numbered countdown labels, and my corresponding “trick” and “treat” labels. (All of the labels are available for free download below.) I used a 2-inch circle punch to cut out each label, and then I used a small hole punch to make a hole in the top center of each one. 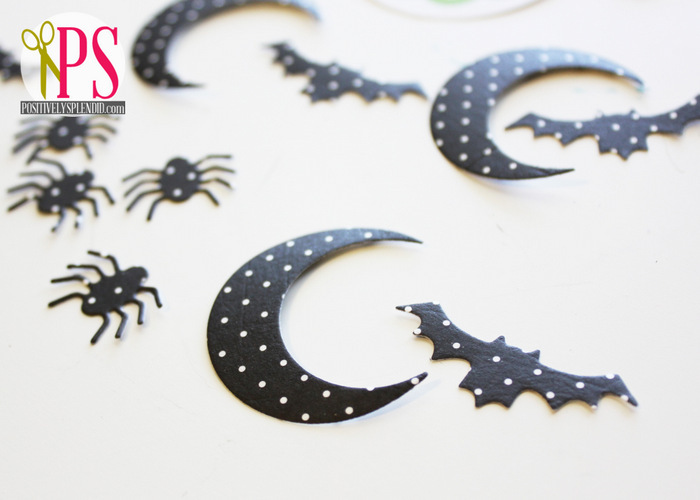 I used my Epic machine to cut bat, moon and spider embellishments for my tags using the new Halloween dies from Lifestyle Crafts, and I punched a hole in each shape. I then threaded my two labels, stacked back to back, and one of the die cut embellishments onto a length of baker’s twine, and tied the twine in a knot, leaving tails of twine to secure each tag onto my tree with a pretty bow. All finished! 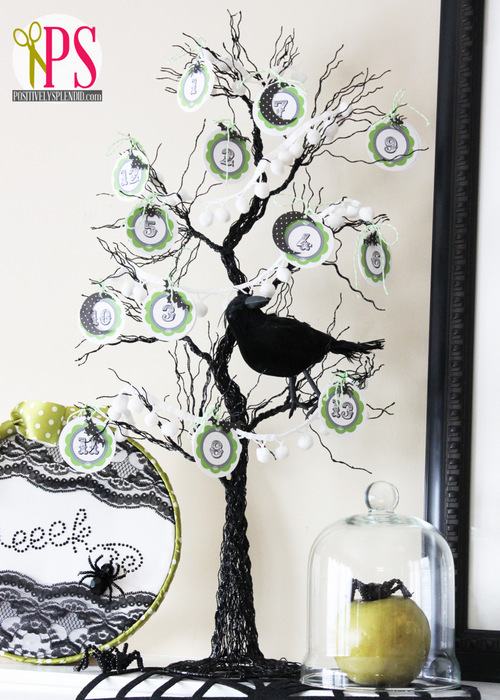 I love how our tree looks displayed on our Halloween mantel! 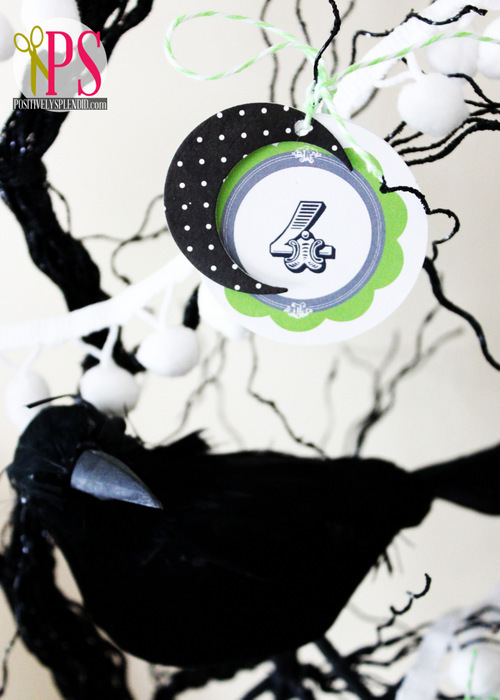 I added some white pom-pom trim and a black crow from the dollar store for extra pizzazz. I have had some readers let me know that they are having a hard time viewing the download box in Firefox, so you might need to use Chrome or Explorer if the box isn’t displaying for you. Thanks for your patience! Also note that if you are enjoying this post in a reader or via email subscription, you will need to click over to the blog for the downloads. To download a copy of the PDF files to your computer, click on the arrow in the bottom right-hand side of the boxes below. 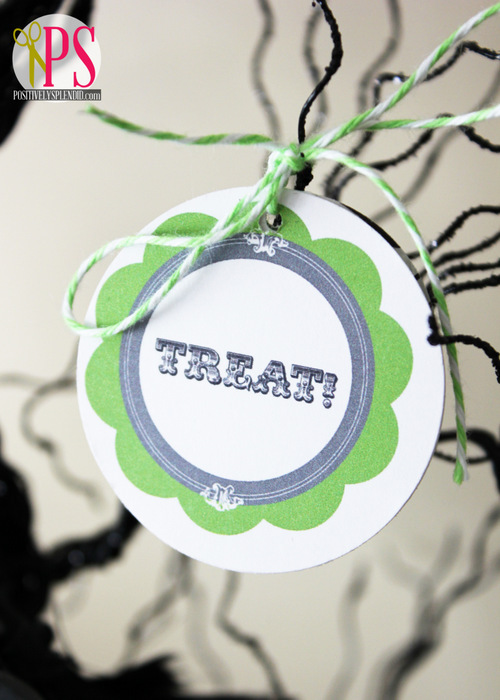 These printable tags would also make a fun garland, especially when decked out with any of the new dies from the Lifestyle Crafts Tricks ‘N Treats collection. 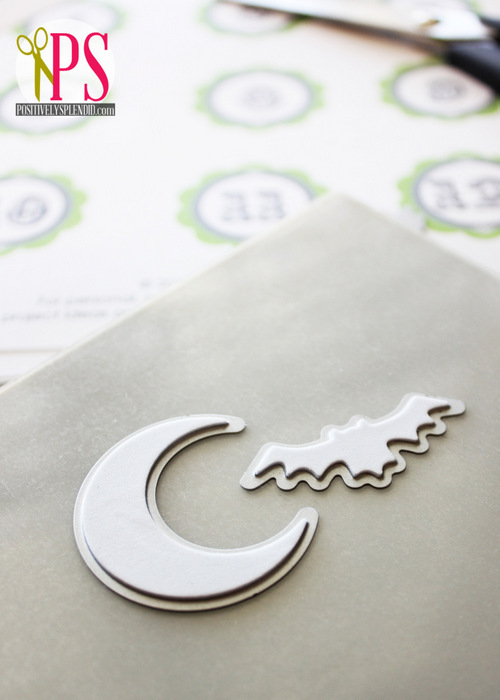 The Bat & Moon Punches from the line are the perfect size to embellish each tag. Aren’t they cute? You can receive 20% off of these or any other dies in the Lifestyle Crafts store simply by entering the code SPLENDID at checkout. Thanks so much for making me a part of your day! I love this idea. I’m going to make this with the spooky tree cut on my cricut. Thanks for the fabulous idea! Adorable!! This would be such a big hit with the kids!!! What a FUN idea! I know your kiddos are going to love doing that every day!